With spring coming up and after that, the dreaded bathing suit season (eek! ), I know everyone's searching for ways to look their best. 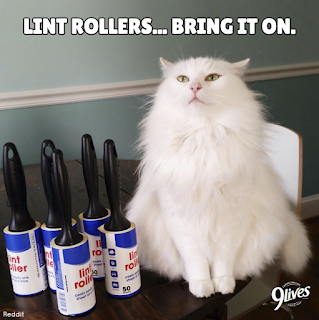 And my readers have a 'paw up' on the competition because we're about to get some style and wellness tips from someone who knows a thing or two about looking awesome... I'm talking, of course, about Morris the Cat. I love my cat, Baxter, but man, does he shed! Every time I leave the house I'm covered in cat hair. It's getting to the point where we can't even cuddle together without me looking like the sticky side of a lint roller! Unleash your wisdom, Morris... there must be something I can do. If your cat is shedding on you, the thing you should tell him is... "thank you!" Being covered in cat fur means you get to look like a cat, which means you get to look more awesome. However, if this isn't your desired effect (although I can't imagine why it wouldn't be), try wearing clothes the same color as your cat to camouflage the fur. 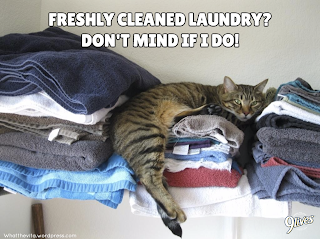 Kind of like a cat camouflages himself in clean laundry--hey, come to think of it, that could be why you're always covered in fur! You can also try brushing Baxter a couple times a week to remove excess fur and redistribute the natural oils on his skin--now, that's what I call a win-win! My teenage daughter spends 45 minutes in front of the mirror every day primping and brushing her hair. I think this is excessive but she tells me it's what makes her happy. Morris, since you always look fabulous, I thought you could give me some advice--what's the best way to get her to spend less time in front of the mirror? I know it may seem like I just wake up looking this good, but believe it or not, I put in lots of long hours licking my fur. 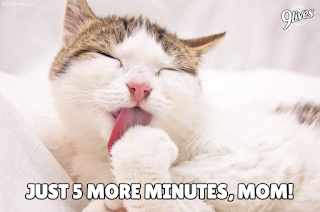 In fact, as a cat, I groom up to 50% of the time I'm awake. 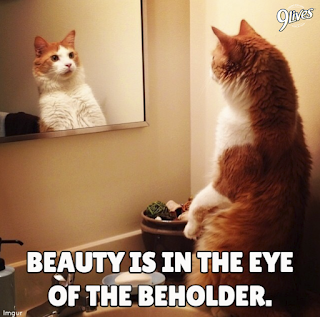 Grooming not only makes you look good, it can be used for meditation--kind of like focusing really hard on a red laser dot. So I say, take the time you need to feel your best--whether it's 5 minutes or 45. It's a very purrsonal choice. Lately I've been looking slightly less than my best, which is unfortunate because I just started a new job and I wanted to make a good first impression. But instead, my eyes are all puffy and I just haven't been my chipper self. I'm not sure how to get out of this style rut. Morris, can you help me get my grooming groove back? Let me shed some light (and some fur) on this situation. The main thing I took away from your question is that you're STRESSED! Starting a new job can be stressful and can lead to falling out of typical routines and lack of sleep. I should know because every time I start shooting a new commercial, I only sleep 15 hours a day instead of 16. But don't despair! There's one failsafe way to calm those nerves and give you back your glow. I'm talking about a massage, specifically a kitty massage. We kitties LOVE to give massages--well, we think of it more as kneading but you humans don't seem to know the difference. 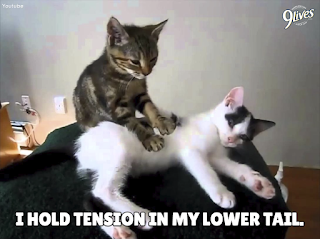 A kitty massage will help you relax, and in turn, feel and look better. 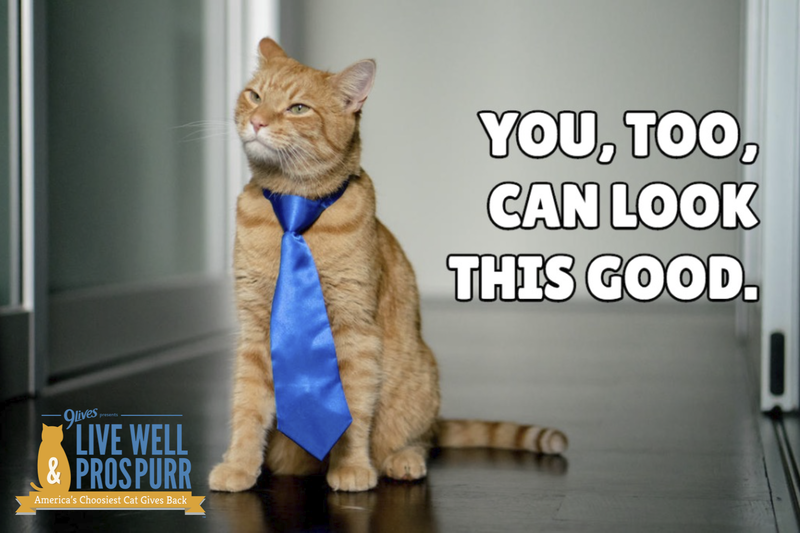 Plus, it's purr-ty much impossible to feel stressed when you have the love of a cat. There you have it! 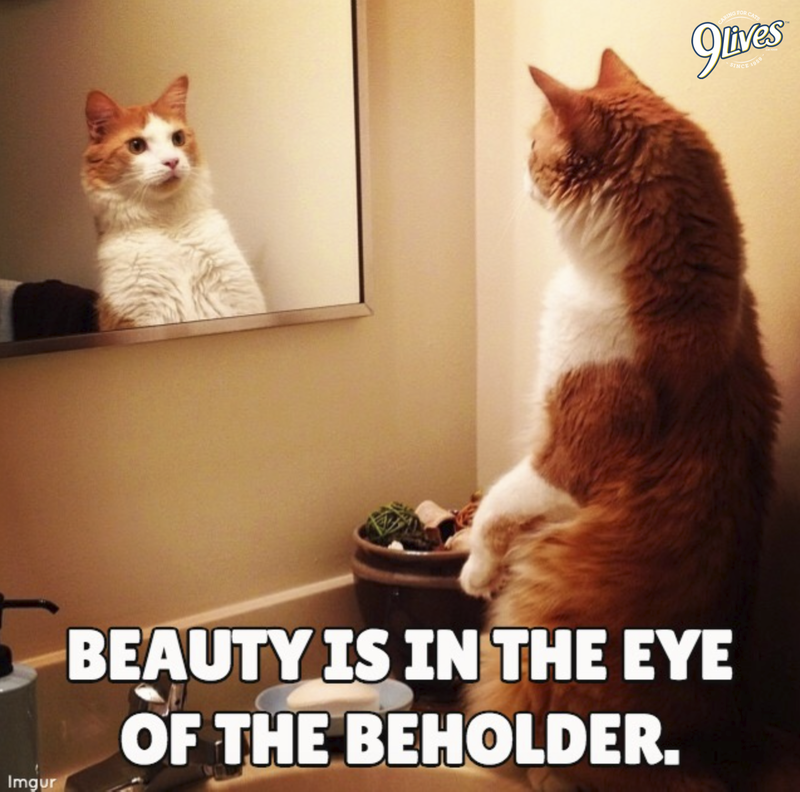 Thank you, Morris the Cat, for sharing this invaluable grooming advice. 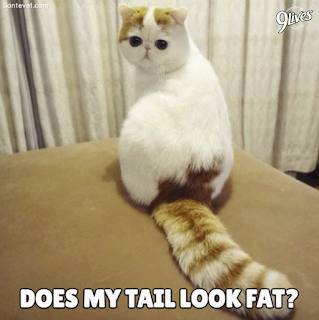 Readers, how many of you have a good-looking, well-groomed feline at home? You could win them a whole year's supply of delicious 9Lives cat food, plus a human-sized, 9Lives-branded bathrobe and Spa Finder gift card for you! 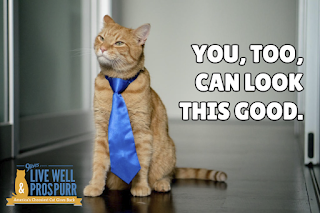 Just go to Morris' Live Well & Prospurr website [http://prospurr.9lives.com/] to enter. Then, 'paw it forward' by tweeting #MorrisFeeds, and Morris will donate a bowl of 9Lives cat food to a kitty in need. I was provided with 9Lives goodies in exchange for this use of my blog space. I don't have a cat but we like to donate food and treats to our local shelter. The original plan had been to reveal the trip on April Fools Day. But then we would be leaving the very next day and my gut just kept telling me that it wasn't a good idea. For lots of reasons. Then it hit me - Easter is a week before the trip. Why not do the reveal as an Easter thing? So we put it together. And I guess it's kind of an Easter thing - except we aren't doing baskets. 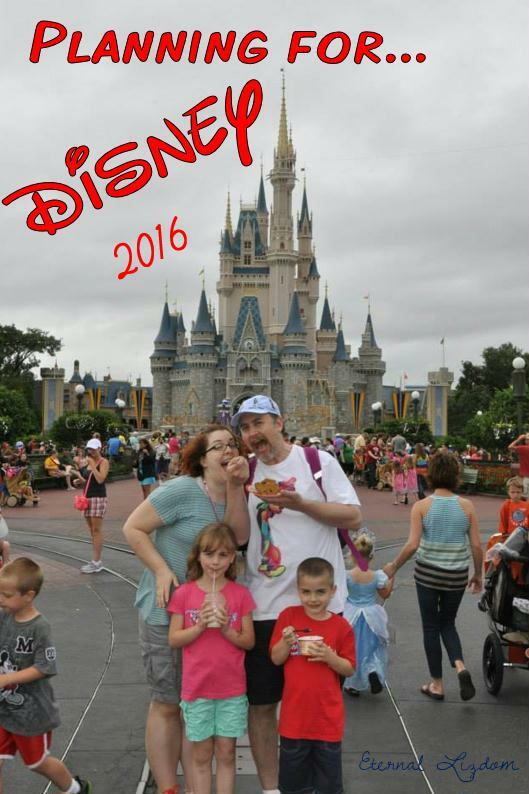 Instead, the grand prize will be a Mickey (for Zach) and Minnie (for Teagan) tote bag with Disney shirts, books, and gift cards. The games leading up to getting the tote bags will reveal clues to help them figure out that we're going to Disney World. They wake up Easter morning. Once we're all out of bed - and there aren't any Easter baskets around - we hand a clue to Teagan and ask her to read it out loud. They take turns receiving the clues and reading them out loud. The final one gets them dressed and headed outside (hopefully). Notice - these are all in "Disney" fonts. My kids are fans of a game show on Nick called "Paradise Run." So the outside portion of the reveal is loosely based on that show. There will be 3 team challenges and then a final puzzle. Each prize earned gives hints of the big prize. Challenge #1 The Cotton Bowl. Move a pile of cotton balls from one bowl to another using only a straw and your mouth! Prize - a picture of a hotel. Challenge #2 Chalk Art. 1 person has the picture, the other has the chalk and can't see the picture. The picture holder has to describe the image to the artist and the artist has to create it on the driveway. Prize - a picture of luggage. Challenge #3 The Power of 10. Each player does 10 tricks on the trampoline, shoots 10 baskets, and then runs 1/10 of a mile (to the corner and back). Prize - a picture of an airplane. Final Challenge - the kids are given a stack of words. They have to put the words in order and then guess what the clue means. The clue is: "Not in our house... but it all started with a mouse!" 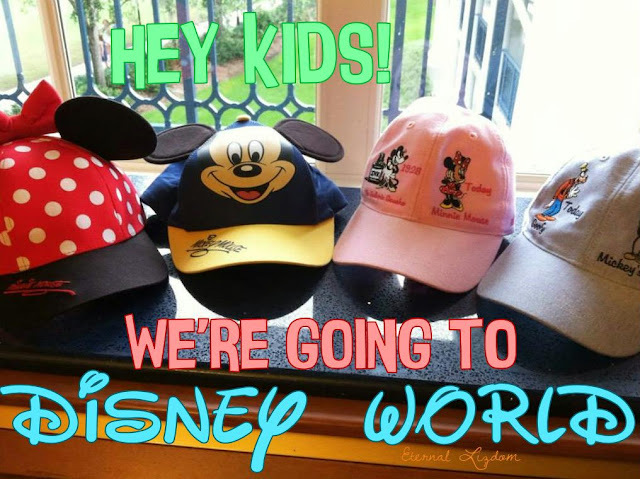 Once they guess "We're going to Disney World," we hand them their grand prize tote bas and tell them that we leave the next weekend! WAHOO! I'm hoping we can capture video of the fun - and I also hope we wear them out a little bit first thing in the morning. I'm looking forward to sharing all the plans with them, getting their input on things, showing videos of rides, and no longer having to hold my tongue every time something Disney pops up! I've kept this secret for 6 months and the excitement is overwhelming!! Disney - here we come! Edited to add the video of our reveal!! My heart is all a-flutter. I am in double and triple check mode. I have lists going and second lists. I have a list of what to pack. A list of what to order from Amazon Pantry. A list of what still needs to be done. But we are basically ready. Except for that part where the kids still don't know! Here's the plan - we won't tell them anything until the day before we leave. Which happens to be April Fools Day. Which is kinda perfect. It's going to take our best improv abilities. We know the plan to get the "joke"started and then it will all depend on their reactions. The kids know we've been talking about a Disney trip in the year 2016. They also know it takes a lot of planning. April Fools Day - we are going to call a family meeting. At that meeting, we will tell them that the deposit has been made for our Disney vacation! When they ask when we are going, we say "Tomorrow!" But we're going to really cheese it up. And in the next 2 weeks, there is going to be a lot of hint dropping about pranks and jokes and how you can't pull a prank over on Daddy or sharing the best pranks we've done. We want them fully prepped for prank mode on April 1. So when we give the big cheesy "Tomorrow!!" - they will either get excited and believe us or they will think we're joking. Or some other reaction. But the plan from that point is to neither confirm nor deny (immediately) but to proceed with packing as if we are going. And to also keep any normal routines we have - because that also throws them off. Other final details include packing, outfit planning (which is harder to do when I can't pre-pack anything), figuring out our grocery plan (we order from a service to have snacks and breakfast items and bottled water delivered), and a few other odds and ends. I've got coordinating shirts planned for our travel days. I've got shirts planned for Hollywood Studios (all Star Wars, of course) and for 1 of our 2 days at Magic Kingdom. We've purchased Disney gift cards for souvenir spending. We've planned out cash for housekeeping and table service meal tips. I may start trying to prepack a bit once the shirts I order arrive. I figure I can start plotting things out at night after the kids are in bed. And because the travel details are so nicely under control, that means my focus for the next 2 weeks is really strongly focused on work. There is a lot I want to make sure is lined up before I'm gone for a solid week. Watch out Disney... we're coming... soon!! 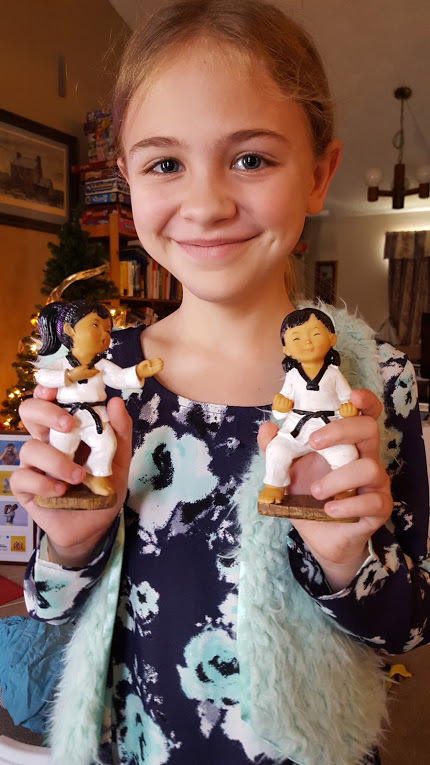 Today is my daughter's 11th birthday. Here is what I know about her from having lived with her for 11 years. She is funny and energetic. She is a leader. People are naturally drawn to my child. She gives off energy and light. She has an enormous heart. She is smart and clever and compassionate. This birthday has felt different. She is excited for her birthday but there has been a serious undertone in our celebrations so far. At dinner last night, she was a bit more reserved than usual. This morning, she came and sat on my bed - after we woke her to our melodious singing and the opening of her gifts - and told me, "Mom, I just don't think I'm ready to grow up." Did I mention she's just turning 11? Not hitting the teen years yet. But she sees girls in her 5th grade class that are taller and curvier than she is. She hears girls in her class talk about boys and cruches and kissing. She knows girls who are ga-ga over boy bands or actors. Some girls have started wearing make up. Some need bras and some have even started their periods already. My girl is a late bloomer. And we like it that way. She has no interest in boys or make up. She doesn't have crushes on anyone famous. Or even on anyone, period. She likes to hang out with her friends - boys and girls. She likes to run and jump and play tag and hide & seek. She likes to make up a restaurant and hire her friends as servers and cooks. She loves tae kwon do. She looks up to teenagers in her life and also to adults - but not so much to her peers. There is no rush to grow up. She's perfectly fine exactly where she is. I know many moms who lament the days gone by - when their kids were sweet little babies who cooed and needed to be held. Or they were silly toddlers, figuring out the basics of walking and talking. Or even those early days of school and the first tiny little signs of independence. But me? We're in my favorite year right now. 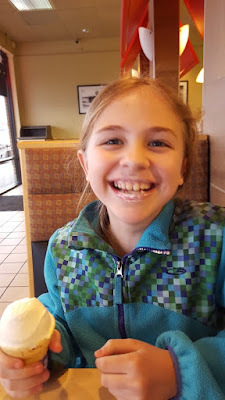 10 turning 11 has been my favorite time with you, my daughter. I see you growing into this unique person with interesting ideas and plans to make those ideas happen. I love talking to you about politics or how your day went or what's going on with your friends or the things that are troubling your heart. I love your sense of adventure - you are generally willing to try new things, new foods, and discover new interests. I love hanging out with you and going on experiences and adventures together. You've developed your very own sense of humor and you make me laugh every day. Happy 11th birthday, baby girl. I love Wonderful Halos. Have you had them? They are the perfect size, easy to peel, easy to eat, and so delicious! Great for kids, too. My kids always get excited when we have them in the house. So when Wonderful Halos asked if my readers might possibly be interested in recipes, info, and a giveaway, I had to say yes!! Mandarins such as Wonderful Halos provide 45 percent of the recommended daily value of vitamin C – a delicious, healthy, and satisfying snack. 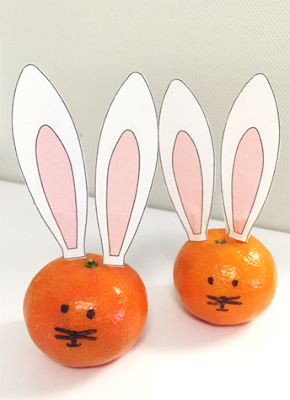 Mandarins such as Wonderful Halos are delicious, healthy snacks that are roughly 50 calories. For a quick pick-me-up snack, Wonderful Halos are the perfect naturally sweet alternative to sugary treats. Kids love Halos because the sweet and juicy mandarins fit perfectly into their small hands. Parents love to pack Halos in school lunchboxes because they are healthy and an excellent source of vitamin C for their kids. Wonderful Halos are a great snack and I've even been known to eat a couple when I haven't had time to grab lunch or breakfast. Wonderful Halos are naturally sweet, grown in California, and non-GMO Project certified. And if you can resist the temptation to just EAT them, you can use Wonderful Halos in recipes! Wonderful Halos provided me with some seriously yummy recipe cards. I love the idea of several of these dishes. But I'm not sure I could resist just eating that Halo once it is in my hand! Click HERE for a pdf of yummy recipes!! Want a fun, adorable, and HEALTHY treat for the Easter baskets this year? Check this out! SO CUTE! And now for that giveaway! !Wonderful Halos wants to give one of my readers this fantastic gift basket!! 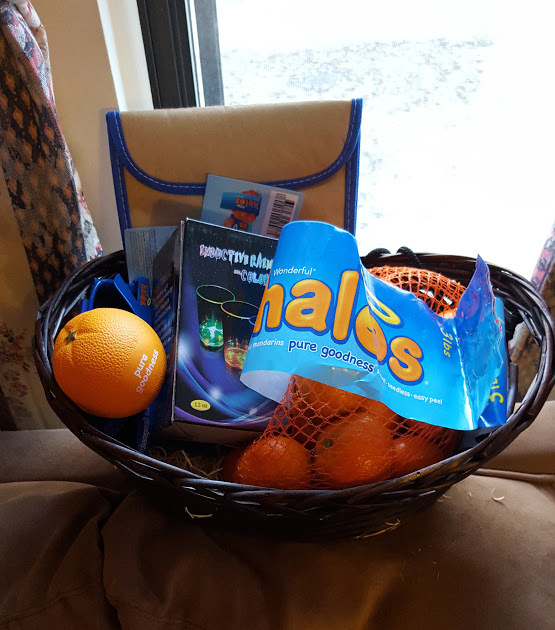 A lovely basket, a bag of Halos, a light up Halos cup, a Halos lunch bag, a Halos backpack, Halos sunglasses and COUPONS! Check out the Rafflecopter and enter!! I was provided with content for this post and with a gift basket of my own. However, all opinions and my love of Wonderful Halos is truly my own.